Robert Rhoton, PsyD, LPC, D.A.A.E.T.S., is a retired faculty member from at Ottawa University (Phoenix) where he worked for 20 years in the Behavioral Sciences and Counseling Department. 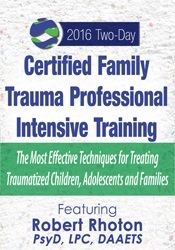 Dr. Rhoton’s primary interests are training counselors to work with traumagenic family dynamics; child & family trauma; and non-egoic models of treatment. As CEO of Arizona Trauma Institute, Dr. Rhoton has supervised multiple outpatient clinics, juvenile justice programs, and intensive outpatient substance abuse programs for adolescents. 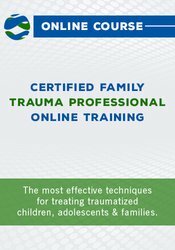 As well as, day treatment programs for children and youth, adult offender programs, child and family therapeutic services, advanced training in child and adolescent trauma treatment, family therapy and family trauma work. Financial: Robert Rhoton is CEO of Arizona Trauma Institute, LLP. He receives compensation as an Assistant Professor in the Behavioral Sciences and Counseling Department at Ottawa University. Dr. Rhoton receives a speaking honorarium from PESI, Inc. 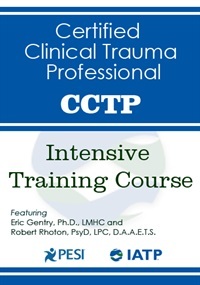 Non-financial: Robert Rhoton serves on the Arizona Department of Health Services Trauma Informed Care (TIC) task-force as a community member and is also a gubernatorial appointee to the Arizona Board of Behavioral Health.